Hyderabad (19 September 2017) ― Rising temperatures and frequency of extreme climate events like heat waves in many parts of the world will lead to a drop in major staple crop production. Now, the decoding and sequencing of the pearl millet (bajra in Hindi) genome by a global team of 65 scientists from 30 research institutions has revealed critical coping strategies. The analysis of genetic variability among a thousand pearl millet lines has led to a better understanding of the ability of this dryland cereal to survive soaring temperatures (over 42oC) and its exceptional drought tolerance. This discovery published in Nature Biotechnology (http://dx.doi.org/10.1038/nbt.3943), on September 18, 2017 may also help develop climate adaptation strategies in other important cereal crops. This research co-led by the International Crops Research Institute for Semi-Arid Tropics (ICRISAT), India, BGI-Shenzhen, China and the French National Research Institute for Sustainable Development (IRD), used the latest innovations in DNA sequencing and analysis to identify new genetic tools like molecular markers related to drought and heat tolerance, as well as other important traits (better nutrition profile, pest resistance). 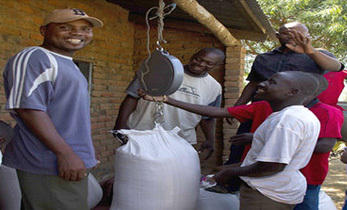 This will catalyze breeding efforts to improve this crucial staple food for millions of people in arid and semi-arid Africa and Asia in particular. Pearl millet [Cenchrus americanus (L.) Morrone] is a nutritious drylands cereal, rich in protein, fiber and essential micronutrients like iron, zinc and folate. Nutrition studies have shown that this cereal has the potential to fight iron deficiency, the most widespread micronutrient deficiency and major cause of anemia, affecting health and development of a third of global population. 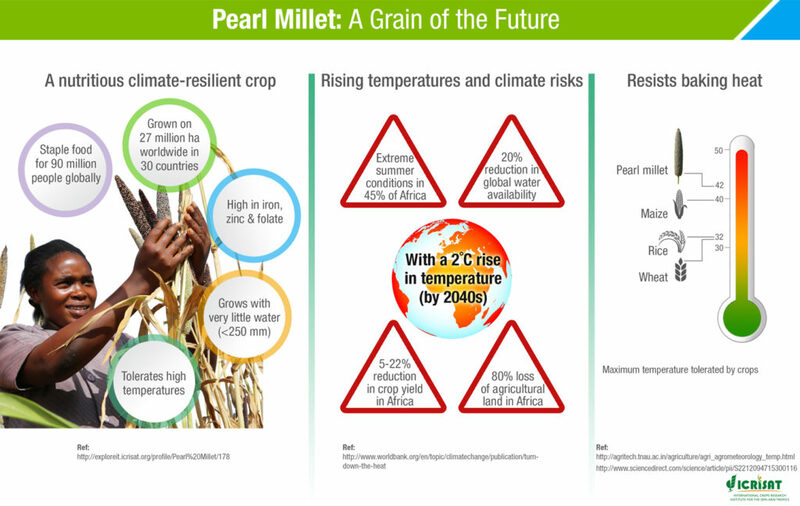 Pearl millet is grown on about 27 million hectares worldwide and is a daily food for more than 90 million people, among the most vulnerable in arid and semi-arid Africa and Asia. It is also an important source of fodder for millions of farms. 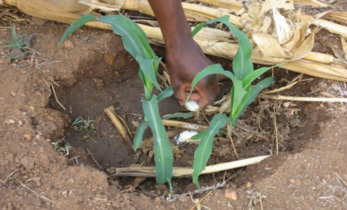 However, pearl millet yields have remained low over the last six decades, as this cereal is mainly grown in poor soil conditions without irrigation, minimal and no fertilizer and other agricultural inputs. Investment in genetic research for this smallholder crop has been inadequate and breeders had limited genetic information to develop high yielding superior varieties and hybrids that respond to farmers’ constraints. This pearl millet genome research has led to a better understanding of its genetic variability, and researchers have identified candidate genes of very important traits, such as heat tolerance, or resistance to downy mildew, a very damaging millet disease. Such heat resistance is crucial as climate experts forecast further heat waves in years to come. With the new biotechnology methods, we can foresee the transfer of such heat and/or drought tolerance to other important food cereals in a near future. In the context of India, 10 million metric tons of pearl millet are produced each year in 7.5 million hectares, including 60% in hot regions of Rajasthan. 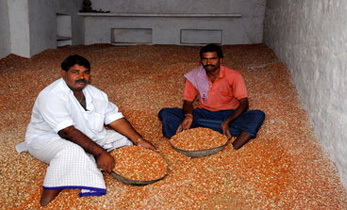 About 40 million rural people in India benefit from pearl millet cultivation. 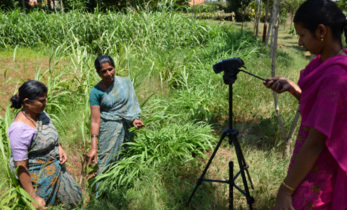 Dr. S K Pattanayak, Secretary, Department of Agriculture and Cooperation, Government of India, said, “I am very excited to note this important development and congratulate all the scientists associated with this research project. The breakthrough in bajra research will not only benefit the Indian farmers to enhance their income but also provide nutritional security to millions of our people. Bajra is one of the focus crop of National Food Security Mission and I am sure that the scientific break-through will be a boon to the rain-fed regions of the country”. Dr. T Mohapatra, Director General, Indian Council of Agricultural Research highlighted the importance of study by saying, “This milestone research in bajra has become possible because of strong partnership of ICRISAT, ICAR and leading institutes from the world. This is the first time that we have been able to generate so much genome information for an important crop for India. This wealth of sequence information will pave the way for modernization of pearl millet breeding in India”. 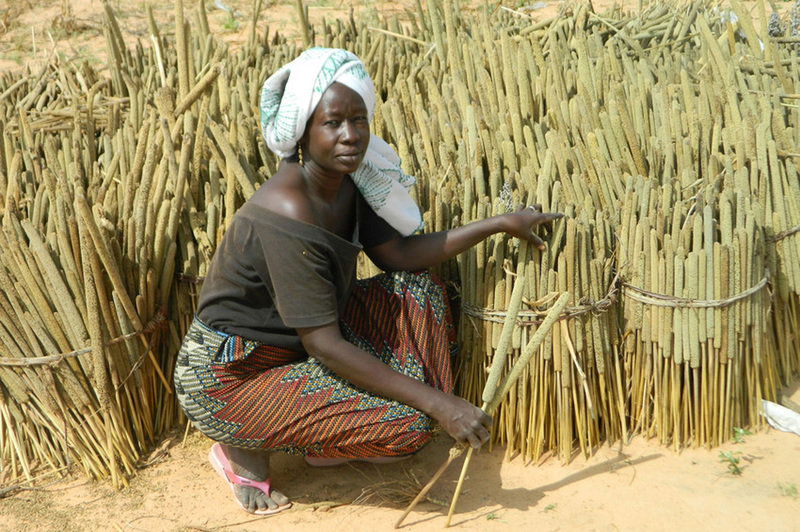 The faster development of improved pearl millet varieties that can grow despite heat and drought, and still yield good harvests and income for smallholder farmers will help communities to adapt to climate change and be food and nutrition secure. This pearl millet genome decoding and sequencing was performed by an international consortium of 65 scientists from India, China, France, USA, Germany, Austria, Senegal, Niger, Italy and UK. 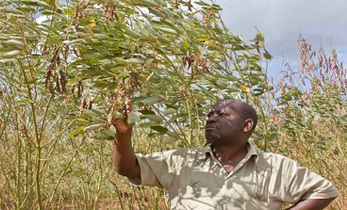 The 30 research institutions involved are; the International Crops Research Institute for the Semi-Arid Tropics (ICRISAT). BGI-Shenzhen and BGI-Qingdao, China. Institut de Recherche pour le Développement (IRD), Montpellier, France. University of Georgia and Fort Valley State University, Georgia, USA. Leibniz Institute of Plant Genetics and Crop Plant Research (IPK), Germany. Cornell University, New York, USA. University of Florida, USA. Junagadh Agricultural University, Gujarat, India. United States Department of Agriculture—Agricultural Research Service (USDA-ARS), USA. Department of Ecogenomics and Systems Biology and Vienna Metabolomics Center (VIME), University of Vienna, Austria. Mumbai Amity University, Maharashtra, India. Institut Sénégalais de Recherches Agricoles (ISRA), Senegal. School of Bioinformatics and Biotechnology, D.Y. Patil University, Mumbai, Maharashtra, India. University of Arizona, USA. Phoenix Bioinformatics, California, USA. Indian Council of Agricultural Research (ICAR), New Dehli, India and ICAR Central Arid Zone Research Institute (CAZRI), Rajasthan, India. Laboratoire Mixte International Adaptation des Plantes et Microorganismes Associés aux Stress Environnementaux, Senegal. Faculty of Sciences and Techniques of Niamey, Niger. University of Montpellier, France. Université Lyon 1, France. Oklahoma State University, USA. Institut des Mondes Africains (IMAf), France. CNR-Consiglio Nazionale delle Ricerche, Istituto di Biologia e Biotecnologia Agraria, Italy. 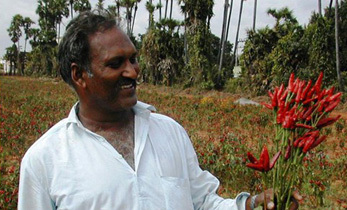 Pioneer Hi-Bred Private Limited, India. Aberystwyth University, UK. Visva-Bharati, Santiniketan, West Bengal, India.